For years, internet service providers have maintained that they support net neutrality while the industry spends hundreds of millions of dollars to destroy it. The big guys still make that claim while they fight efforts to enshrine the open web into law. 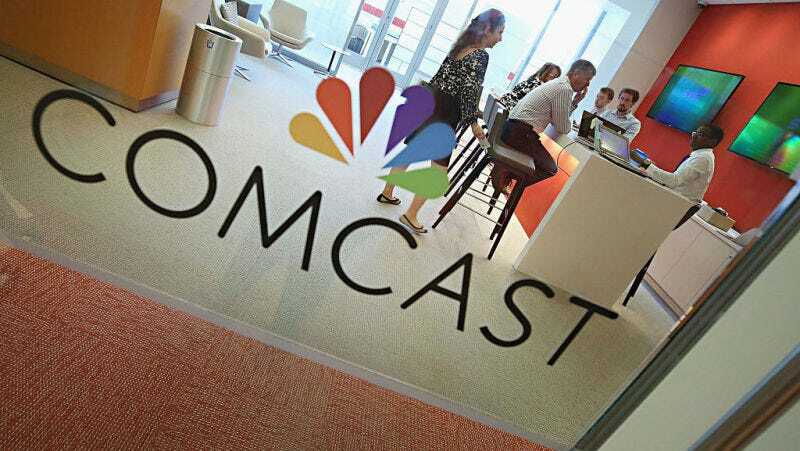 Now, a Comcast exec has given us a little more clarity on what exceptions it’s looking for. As Ars Technica points out, the think tank Free State Foundation held its annual Telecom Policy Conference on Tuesday, and Comcast’s ever-delightful Senior Executive VP David Cohen was one of the speakers. Telecoms are currently scrambling to get some sort of law through Congress that will permanently enshrine ISPs’ ability to block or throttle content and offer paid prioritization (aka “fast lanes”). Under the recently repealed Title II net neutrality protections, that would’ve been mostly against the rules. Democrats are currently pushing to make Title II protections the law of the land, and ISPs know they might have a limited time to get some lobbyist-crafted legislation signed before a possible Republican wipeout in the midterm elections this November. So, on Tuesday, Cohen was ready to talk compromise. “How about if we agree to a prohibition on paid prioritization and we have a limited exception created in some way for this concept of specialized services,” Cohen suggested. What’s a specialized service, you’re surely asking. We don’t know, exactly. Cohen explained that “there is a recognition that something might come along that is not anti-competitive, that is pro-consumer, that is a specialized service available not to every user of the internet, [and] that would be in consumers’ interests and in the public interest.” So, it’s future tech, I guess. At the conference, David Cohen made the point that if reasonable people sat down at the table, there were compromises that could be reached on all subjects. He took the example of paid prioritization and said that he thought a reasonable compromise could be a ban on paid prioritization but with a narrow authorization for specialized services. He noted that this was not a radical idea since both the 2010 Genachowski order and the 2015 Wheeler order contained narrow exceptions for specialized services. We followed up with Comcast and asked if this meant that it would get behind legislation that simply transfers over the limited exemptions for paid prioritization that exist in the Wheeler order. We received no reply. But Comcast’s acknowledgment that this sort of provision for special services already existed in the regulations that the FCC repealed in December seems like either progress. At one point during the conference, Cisco Global Government Affairs VP Jeffrey Campbell named remote surgery and real-time video chats as examples of when paid prioritization would come in handy. But Chris Lewis, from the consumer advocacy group Public Knowledge, countered that “the 2015 rules had an allowance for reasonable network management, which is just what Jeff was describing: the ability for a network to say that things that are in real time need to be managed properly by the ISP.” The rules allowed the kind of room to grow with specialized services, but they would have restricted prioritization of, say, Comcast’s Robot Surgery Inc. over AT&T’s Robot Surgery & Sons. Neither of those services exist, but in David Cohen’s vision of the future, they presumably could. If you’re a telecom policy wonk and want to see the full debate, it starts around the two-hour mark here. For everyone else, believe nothing Comcast says. There’s a reason it’s more hated by Americans than both Monsanto and The Weinstein Company.